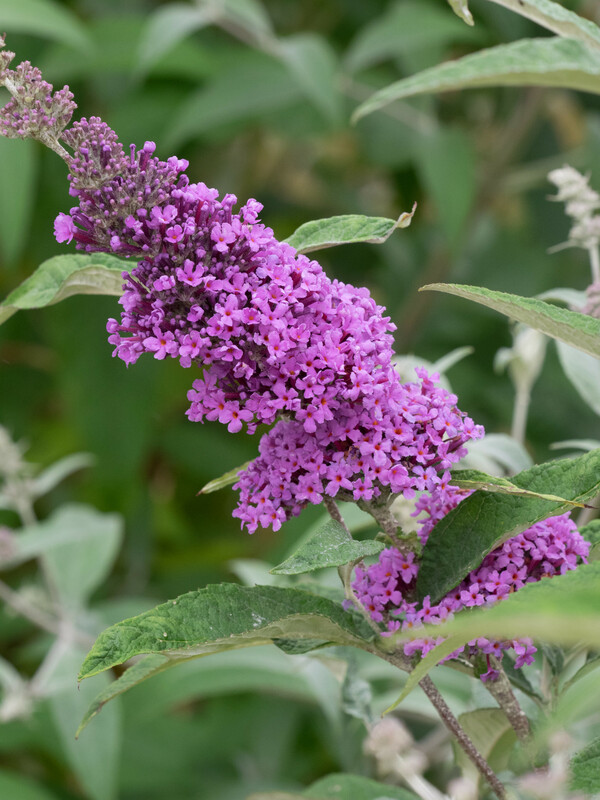 A Buddleja for the pot! 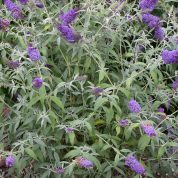 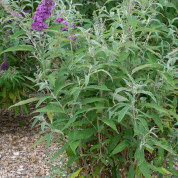 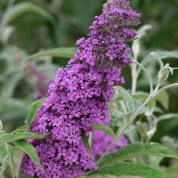 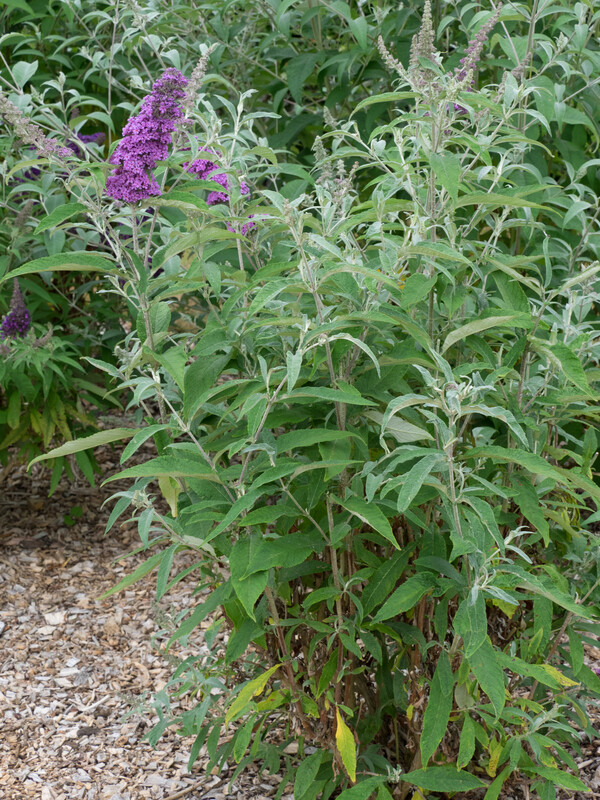 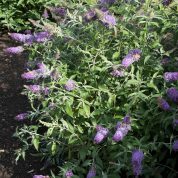 A revolution in Buddleja – this one has wonderful rich violet-lilac flowers with an orange eye. 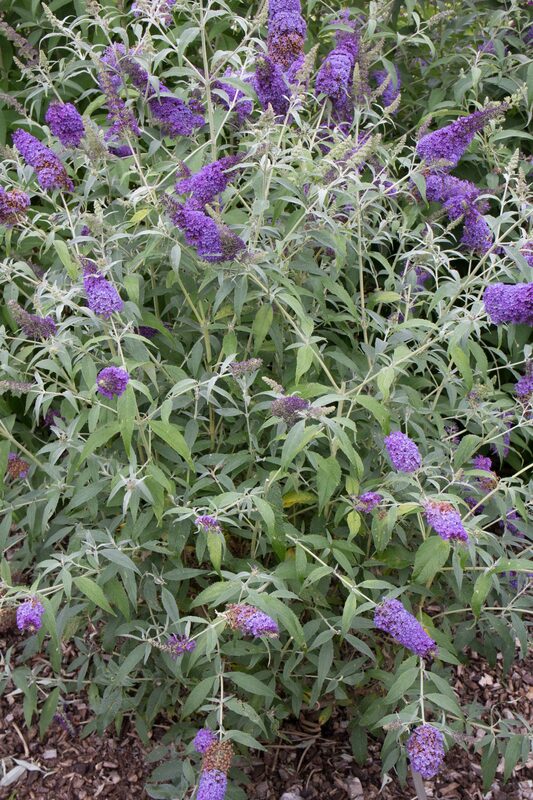 My personal view is the Buzz™ series are better in the ground. 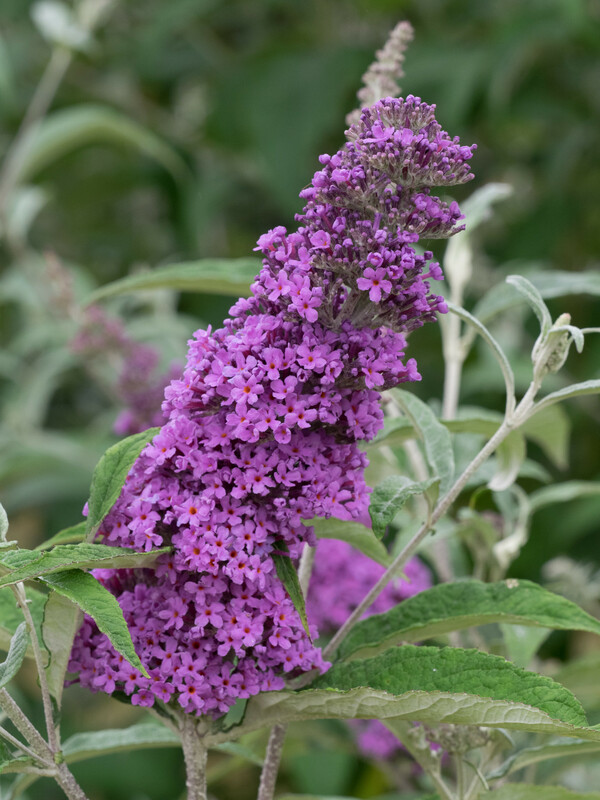 Most Buddleja are root hardy in the ground but in a container will need protection in very cold winters. 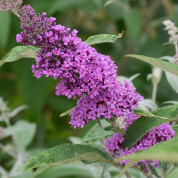 This series of plants was developed by Thompson & Morgan of Ipswich, Suffolk, England in a quest to create new hybrids which were more compact and easier to grow in the modern small garden. 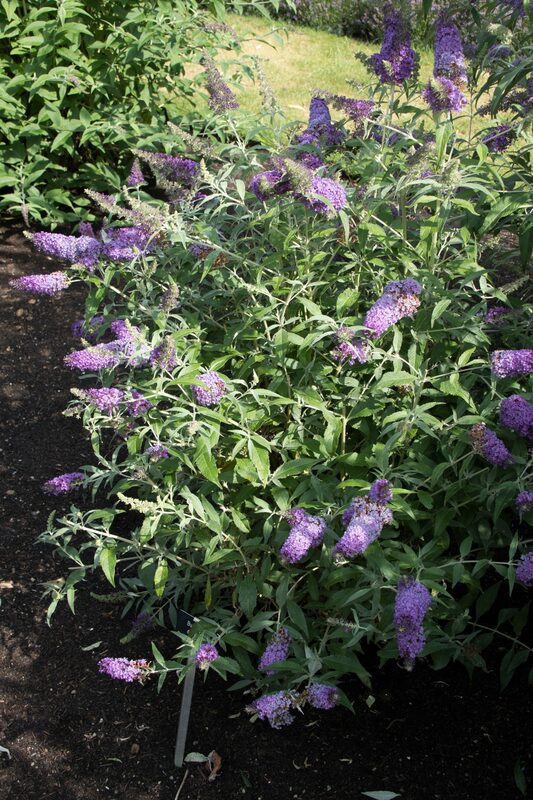 After 8 years of breeding and selection, the Buzz™ series was born.